“Look carefully then how you walk, not as unwise but as wise, making the best use of the time, because the days are evil. Therefore do not be foolish, but understand what the will of the Lord is. And do not get drunk with wine, for that is debauchery, but be filled with the Spirit, addressing one another in psalms and hymns and spiritual songs, singing and making melody to the Lord with your heart, giving thanks always and for everything to God the Father in the name of our Lord Jesus Christ, submitting to one another out of reverence for Christ” (Ephesians 5:15-21). Being filled with the Holy Spirit is a Biblical injunction. It’s a New Covenant imperative. As such, every Christian should obey. Notice that the verb in question is passive. Those being filled are having something done to them. We also know from the Scriptures that the One doing the filling is Jesus. He is the baptizer in the Holy Spirit, and we are grateful. The verb being passive is not to imply that we should be at all passive about being filled with the Holy Spirit. Being so is not an optional extra, for it empowers us in our witness, enabling us in words, ways, works and wonders. Jesus is our example in this, as is the early church. In fact, Jesus made it clear that we should ask, seek, and knock in this regard (Luke 11:9-10). These injunctions are all in the present continuous, and best translated “ask and keep on asking”, “seek and keep on seeking”, and “knock and keep on knocking”. We could therefore say that every Christian should be filled with the Holy Spirit, and we should encourage each other to never settle for anything less! The terminology used in the book of Acts in describing infilling is instructive. The Holy Spirit is “poured out”, “comes upon” and “fills”. Those being filled “receive” and “drink”. The connection between the two is facilitated by the laying on of hands on occasion, but not always. But no matter the means, the outcome is always definitive. Being filled with the Spirit is a true baptism. An immersion. A dipping, dunking, soaking, steeping and saturating. The idea is one of a bottle thrown into the ocean. The bottle is in the water, and the water is in the bottle. 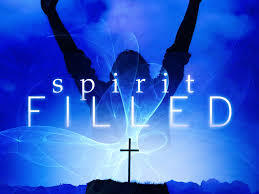 Everyone who is filled with the Spirit knows it. Others present at the time know it too. The evidence is often audible, the most common by far being speaking in tongues, although numerous other signs are included in the Biblical and are still attested to today. There is merit to the argument that the Scriptures refer to the believer’s first infilling of the Spirit as a baptism, and to subsequent comparable encounters as infillings. 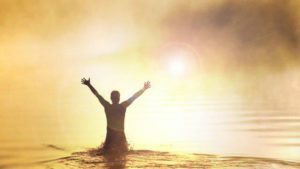 This subtle distinction proves important as we recognise that baptism in the Holy Spirit propels the believer into the realms of the Spirit in a definitive way. But there is equal merit in noting that everyone baptised was already in that which they were baptised into. In other words, baptism is a secondary action, but not something totally unfamiliar. Those who are baptised in water first go down into the water before being immersed in it. In the same way, anyone being immersed in the Spirit must already be in the Spirit for that baptism to be able to take place. Understanding this helps us grasp that all Christians are born of the Spirit, have the Spirit, and are in the Spirit, even if not baptised in the Spirit. The latter is distinct from the new birth, and not for salvation, but for empowerment in witness. Gnosticism is a category of heresy for any wayward belief which appeals to some form of special “gnosis” or knowledge. Spiritual things are always vulnerable to Gnostic influences, because spiritual things are by definition revelatory in nature. Everyone alive to God is so thanks to Word and Spirit. That said, some have received much more than others. Maturity plays a part. Having being baptised in the Spirit does also. But then, so do gifts and callings. That’s what makes comparison impossible. How can we compare ears to eyes, as they have completely different functions. Yet in the church, comparisons are both odious and ubiquitous. And because they are objectively impossible, we accomplish the measurement of the immeasurable by imposing the criteria of our subculture. We keep stumbling over this thing. Dismissing the reality of us having all received a faith of equal standing, and thereby affording one another equal value based on Christ’s assessment, we insist on classifying the citizens of the kingdom based upon our own set of arbitrary performance indicators. Then we’re mortified when the high-profile tele-ministry fails morally. In our convoluted thinking, gifts, callings and influence somehow amount to spirituality and/or maturity. Not so! The outcomes of our lives are by grace and through faith. Confusing performance with spirituality is only possible in the first place thanks to our underlying confusion regarding Law and Grace. It is in this kind of doctrinal detritus that Gnosticism thrives as self-righteousness proliferates. Pentecostal and Charismatic churches are saturated with this folly. Being filled with the Spirit is right in the middle of the morass, along with anything else regarded as spiritual in that particular subculture. This could be prayer and fasting. It could be speaking tongues or prophesying. It could be miracles, signs and wonders. It could even be serving, or giving, or Bible knowledge. Or falling over and the like. Or a blend of these. Whatever the permutation, it all too seldom defines authentic spirituality by righteousness, peace and joy in the Holy Spirit, and even less often by love. I once heard the dynamics of this kind of Charismatic Gnosticism described in terms of drug dealership. The leaders deliver a dose of the fix on a regular basis, for which the church members slavishly pay their ten percent, and jump through the other hoops set before them. The whole setup is stick-and-carrot riddled, but inevitably over-promises and under-delivers, always reaching for an elusive more. Like the level of life in any church, things wax and wane over time, and the more of the treadmill is in reality nothing other than more of the same. Everyone is always getting filled, but few ever are filled in any definitive way. The Galatian believers were case in point. Obedience to elements of the Law of Moses became their subculture’s criteria for spirituality. Paul regarded them as foolish, and as having been bewitched. They had started in grace, but were pursuing a spirituality of their own design, and doing so in their own strength. Carefully heeding their example will serve us well. The flood of Noah’s day provides us with valuable insight. As is often the case, spiritual things reflect in the natural world, casting shadows in the tangible which enable us to better grasp the workings of the invisible. 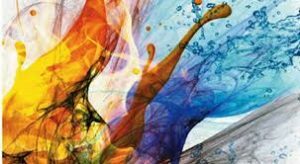 In similar vein as water, the Scriptures also reveal the Spirit as oil, wind, fire and seal. “In the six hundredth year of Noah’s life, in the second month, on the seventeenth day of the month, on that day all the fountains of the great deep burst forth, and the windows of the heavens were opened. And rain fell upon the earth forty days and forty nights” (Genesis 7:11–12). The waters came down, but the waters also came up. In the same way, the Holy Spirit is “poured out” and “comes upon”, but also wells up from within. Jesus was emphatic that anyone who came to Him thirsty would be given this river of living water, and that it would well up from within them (John 7:37-39). I’m sure you can see it now. The bottle is in the ocean and the ocean is in the bottle. We are filled in encounter, where Holy Spirit comes upon us, and we receive. 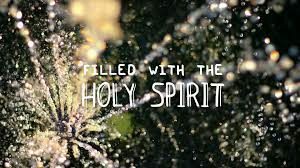 And we are filled as He wells up form within us, for all who are born again have the Holy Spirit in residence. The conflict in notion resolves as we embrace the genius of the “and”. It is not one or the other, but the one and the other. Our desire is to obey. Our desire is to be filled with the Spirit, just as the Scriptures instruct. But let’s forgo the nonsensical prescriptions of our subcultures. Let’s desire and pursue the fullness and freedom already given us in Christ. This is our privilege and our inheritance in Him. Let’s recognise that the Scriptures often encourage us to seek the Lord, but never do they tell us how. That’s because seeking the Lord is an “in the Spirit” and a “by the Spirit” thing. Thinking that we know how is the surest sign that we have no idea at all. “Do not be drunk with wine … but be filled with the Spirit”. Could any metaphor be more apt. Nine o clock one morning, in an upper room in Jerusalem, the Holy Spirit fell upon the one hundred and twenty saints gathered there. In the aftermath of the initial torrent of tears and laughter, they found themselves on the streets of the city, bewildered. People thought they were drunk. Yet, Peter stood and preached the Gospel in clarity and power, and three thousand people were saved. He was so clear about a number of things that day, including the fact that what they had just received was for all who would believe. The drinks were free, and Heaven’s Bar was open! This drunkenness so offends the religious mind. 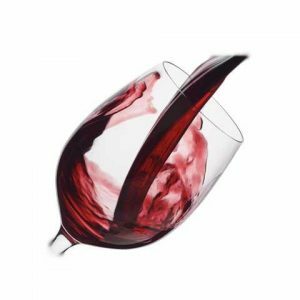 Bit it’s not the destructive drunkenness of wine, but the delightful inebriation of the New Covenant. Those imbibing on this new wine find their defences coming down, and their generosity going up. Their’s is not the belligerence or frivolity of the fermented grape, but the childlike embrace of the Lord and the moment. Joy unspeakable, and full of glory. Not to mention full of song. For those who are duck to water with this kind of thing, great may be your joy. In this is great blessing, for the joy of the Lord is our strength. Live drunk, and join the soaking meeting circuit. Just don’t be prescriptive about it. Or judgmental of others. Respect, honour and encourage other believers who have never been to a soaking meeting, and who have no intention of ever attending one. Appreciate that they may be just as filled with the Spirit as what you are. For just as not everyone is at their happiest in the clubs over the weekend, several beers down, not all Christians are equally enthralled with hanging out in Heaven’s Bar. Those who love it love it, but those who don’t end up staying home. And to these, the Lord is as generous and loving, and His desire is that they be as filled as anyone else. And so He invites them into the water just as surely. To use Ezekiel’s analogy, in He calls them, ankle deep, knee, deep, waste deep, and beyond. Deep within them He arises, deep calling unto deep, no one knowing the heart of man better than his own spirit within him, born of God and one with Him. The testimonies are endless. The man who dreamt he was being filled with the Spirit, and saw himself speaking in tongues, only to find himself slowly waking, all the while his prayer language pouring from his lips. How gracious is our God. Let’s also recognise that the Lord is able to turn our rooms into an upper room any time He chooses. What He did in Jerusalem He also did at Cornelius’ house in Caesarea also. And what He did then, He still does now. There is no need to manipulate or manufacture. Authenticity has great value, but imitation little. What is important here is that we are filled with the Spirit. The focus should surely not be on the process of infilling, but on the resultant fullness. Some subcultures revolve around the unhelpful notion that we somehow leak, and so require incessantly repeating infillings in order to be Spirit-filled. Other subcultures rightly recognise that no Christian can ever be devoid of the Spirit, and that the Spirit is God Himself, which makes commodity-speak about Him nonsensical. We either have Him or we don’t, because He is a person, who isn’t issued by weight or length or any other measure. Yet the infilling of the Spirit is experiential, and those who receive should surely have more tangible evidence on offer than sound doctrine. The crux of the issue is clear. Fullness in the Lord. On the one hand, the experience of His habitation within us, and on the other His enabling. Some distinguish between these two by saying that the Spirit is within us for our sake, and upon us for others. This dichotomy helps our understanding, but does not quite hold up Biblically though, for those who drink receive a river in their bellies, and that river refreshes them as well as others. It is not a matter of either/or; remember the genius of the “and”. A life in the Spirit is by grace and through faith, which is in essence a matter of control. Scripture cautions us regarding the Spirit. In our unbelief, we risk insulting Him, grieving Him, resisting Him and and quenching Him. The language is revealing. There is nothing we can do to help Him, but we are able to hinder Him. We are the ones to keep in step with Him, and not the other way around. And so it is that in concluding, we return once again to the Gospel. God is gracious. Ours is to believe, and in our believing, to yield. Great obedience to God is not founded in our strength or our courage. It is rooted in trust. In letting go. In yielding to His thoughts, His ways, His pace, His path. This is the key to being filled with the Spirit. We do not fill ourselves. The Holy Spirit is the gift of the Father, and Jesus is the one who does the filling. 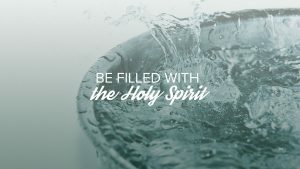 To be filled with the Spirit is His doing. We believe, and believing, receive. Our world is indeed a global village, and emigration (from) and immigration (to) common. In a way, this describes what happens when we believe into Jesus. But faith in Christ results in much, much more. As the Holy Spirit plucks us from in Adam and plunges us into Christ, there is a new passport, but there is also a new birth certificate! The Gospel literally regenerates. Emigration might make a South African an Australian citizen, but it can never make the South African an Australian genetically. Union with Christ accomplishes exactly that. The Bible is emphatic about this. Those who are born again by the Spirit’s power are born again with a new nature. They are no longer who they once were; they are altogether new. What they have become is not a reconditioned or improved version of their former self, but an entirely new self. 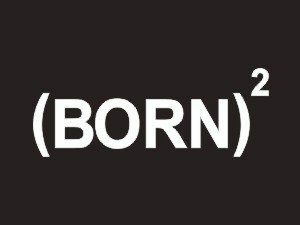 “Born again” can just as accurately be rendered “born from above” in its translation. This helps us comprehend that the new birth is of holy, imperishable, eternal, incorruptible seed. The new nature is just like Jesus’ nature. Not like Adam, but like Jesus! Christians are born again from the same stuff Jesus is made of, and their new nature is effectively a twin of His. The implications are enormous, and the Scriptures reiterate this truth in numerous ways. Peter’s writings teach us that Christians are participants in the divine nature. The book of Hebrews declares that anyone gathering with Christians is gathering with the spirits of the righteous made perfect. Paul described his body parts as the body of Christ. In this he went beyond the mere metaphorical use of language. We are not just like His body; we are His body. We are spiritual, and that’s not because we behave in “spiritual” ways, but because we’re spiritual in nature. Jesus is the only Son of God, but we are the sons and daughters of God. Christians are the residential address of God here on earth. Holy Spirit is in us. We are not like temples; we are temples. Christians have eternal life, and we have it now. None of this implies that Christians are God; to suggest that is heresy. But it is to convey emphatically that Christians are born of God, and made of God-stuff. We are no longer of earth, but of heaven; and literally so, born and bred. Paul once again makes this point magnificently when dealing with the subject of the resurrection. Our Adam-suits (bodies) are perishable, weak, dishonorable, natural and temporal. Our new nature could not be more different. It is imperishable, glorious, powerful, spiritual and eternal. Our resurrection will be the clothing of our newness in an appropriate way, for that which came from Adam cannot adequately contain all that is ours in Christ. Remember those Old Testament saints to whom righteousness was credited when they believed – the likes of Adam, Enoch, Noah, Abraham and David. They were put into right standing with God against the promissory notes of the sacrifices of their day. On the foundation of that gift they, and many others just like them, lived what can only be described as extraordinary lives. They healed the sick, raised the dead, circumvented death, and saw countless other miracles. Yet none of them received the Holy Spirit in the way in which we do today. Their sin was covered over, but not yet taken away. Righteousness was credited to their account, but they were not yet those made righteous in the same way we are. This resurrection life into which we are raised by the Spirit’s power at the moment of our re-birth was something longingly anticipated by those saints of old, and something which they only received after the cross. These saints went to the grave awaiting Christ, but for believers today, absence from the body is presence with the Lord. It was only together with us (in Christ) that these saints of old have been made perfect (their salvation made complete), for salvation only came in its fullness through the death and resurrection of Jesus. Baptism means immersion, and the Scriptures use this term with reference to our inclusion in Christ, and with reference to the Spirit’s work in empowering believers. Taking a moment to think this through will be most helpful. In the days of old, when craftsmen plunged cloth into dye, it was said that they were baptising the cloth in the dye. Dip, dunk, immerse and plunge are all synonyms. Notice also that the cloth did not baptise itself, the point being that self-baptism is a swim and not a baptism proper. Notice also that the cloth when fully immersed was also saturated, i.e. the cloth was in the dye, and the dye was in the cloth. So it is when we come to faith in Christ. The Holy Spirit is the heavenly craftsman who immerses us into Jesus, uniting us with His crucifixion, death, burial and resurrection. In that moment, we are plunged into Him (included in Christ), and He indwells us (we are born again). These two things are simultaneous and inseparable, just like the cloth and the dye. Both also enjoy amplification as we respond to them and appropriate them more fully, and it is baptism that facilitates this. As Christians are then taught that they are no longer in Adam but in Christ, they should also be taught that Scripture commands a response of faith-filled obedience. Baptism (immersion) in water celebrates their death and resurrection, testifying to its reality, and serves as a funeral service for the old life that once was but is no more. Extraordinary demonstrations of the goodness of God are often unleashed into the faith-filled believer’s life as the truths of the Gospel are appropriated through this simple, ever-so-tangible step of obedience. The hasty departure of demons is commonplace. So is healing from sickness of all kinds, and release from addictions and emotional pain. It has even been reported on occasion that ugly, disfiguring tattoos or occult-induced scars simply vanish. These good things happening are thanks to the Gospel at work, as vibrant faith, expressed in obedience to the commands of Jesus, accesses grace. The same sort of thing happens through the laying on of hands and the breaking of bread. These are not powerful rituals, but empowered means of grace, when appropriated by faith. A similar explosion of transforming power accompanies baptism (immersion) in the Holy Spirit. It was the Holy Spirit who immersed the believer into Christ when he came to faith. Now, as this new believer learns that all life in Christ is by the Spirit, a desire for more arises deep within him. This is all of God, and as deep cries out to deep, Jesus steps in and baptises him in the Holy Spirit. He does so just as John the baptiser had said, “I baptise you with water for repentance, but He who is coming after me is mightier than I, whose sandals I am not worthy to carry. He will baptise you with the Holy Spirit and fire”. This immersion is for enabling, and the Scriptures describe it as such – a baptism for power. Experiences likened to encounters with water, wind, fire and oil are commonplace. Gifts are imparted; revelation abounds; joy overwhelms; peace proliferates; and this immersion in the Spirit is typically accompanied by speaking in tongues. Drunkenness in the Spirit is also not uncommon, as was the experience of the one-hundred-and-twenty in the upper room on the day of Pentecost. Believers who step into this vortex of life and power also learn that encounters of this nature are in the offing, and many pursue a lifestyle of repeated infilling as they desire to be conduits of more and more of the life and power of God. We have all been given far more than we’ve received. The Gospel is good news of glory, freedom and fullness, and even those amongst us who have experienced much have only just begun to enter into all that has been freely provided for us. In the moment of faith we are included in Christ, and the Spirit regenerates and indwells us, a deposit guaranteeing much, much more. And there is so much more! Our experience of Him intensifies, heightens, deepens and widens as we grow in God. The Lord works in our lives to bring us increasingly into what Paul so wisely refers to as the obedience of faith. Compliance is not a good motivator for water baptism or the infilling of the Spirit. There’s little point in subtly pressurising believers towards these things because “that’s what the Bible teaches” or “that’s what we do as a church”. We should preach and teach them unashamedly, and offer opportunity for them constantly, but be sure to anchor them in the perfect, finished work of Christ. Let’s have the Gospel impart the faith that will see believers responding expectantly and obediently. All of Christianity is by grace alone, through faith alone, because of Christ alone. All of Christianity is with the Father, through and in Jesus, and by the Spirit. These are things that cannot be legislated or administrated. Let’s preach the Gospel, and let the Gospel do its life-giving work. This is one of a series of posts adapted from the e-book “Why the Gospel is the Best News Ever!” by Gavin Cox. Go to the first post in the series by clicking here.